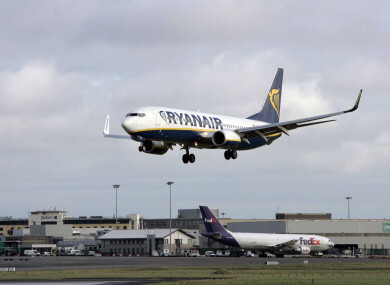 THE IRISH AIRLINE Pilots’ Association has announced two further strike dates for Ryanair pilots, following on from its first day of strikes today. In a statement this evening, it said that pilots would be striking for two days – Friday 20 July and Tuesday 24 July. The association, a branch of Fórsa trade union, said in a statement: “The union and management found some common ground in talks yesterday on the proposal that a joint working group could help the parties agree on a fair and transparent method to govern base transfer arrangements and related matters, but failed to reach agreement on the terms of reference for such a group. Earlier, Ryanair said on Twitter that the strike “has achieved nothing”, and said it hopes that the union would accept its offer of a working group to try to resolve the issues. Email “Ryanair pilots announce two further strikes - Friday 20 July and Tuesday 24 July”. Feedback on “Ryanair pilots announce two further strikes - Friday 20 July and Tuesday 24 July”.